What ever happened to "Professional Courtesy"? Does it not exist anymore? It's called team work. Remember that? It's what we learned in elementary school. It's the reason our teachers made us work in groups. We learned teamwork in P.E., in our extra curricular sports. Through teamwork, we learned we could work together and build. We could learn from others and utilize each others strengths. We could depend on each other and trust our teammates for support. It is a life fundamental we learn at a young, and early age. While most professional conduct their business in such a manner, I find myself coming across more and more professionals who seem to have forgotten this basic and necessary notion. The blatant disregard and disrespect for colleagues, their schedule, and their patients is incomprehensible. A practice and/or department is only as strong as the weakest partner. It's pretty basic. There are schedules: work schedules, OR schedules, clinic schedules, on-call schedules, etc... For convenience, these schedules are made available a month ahead of time which is plenty of time to schedule personal meetings, personal appointments, and the like at a time which will not negatively impact your practice or the practice of your colleagues. So, to the non-courteous, don't ask your colleagues to cover your procedures for a personal appointment on your on-call day. Instead, try scheduling your hair cut on a day you don't have call. Here's an idea.. try sharing your call schedule with your spouse, so she (or he) can refer to it when scheduling appointments you both must attend instead of constantly and consistently asking your colleagues to cover for you. Their schedules are just as busy, if not busier than yours. The patients waiting in the clinic would appreciate it. Your colleagues would appreciate it. Moreover, I would appreciate it. 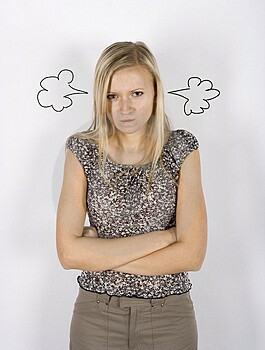 See...your non-courteous actions send my husband home late and in a foul mood (and rightfully so). It's just one more meal to the many we couldn't eat together. So now your actions (or lack of) are having a direct effect on me and our family. The kids and I can tolerate Doc H's absences when we know he's in surgery or clinic, dealing with people's health and lives. We expect those absences. However, we don't take too kindly to his being absent to cover for you (again!). See, we are on to you. We know you won't return the favor. We know you will have an excuse whenever Doc H is looking for coverage for any family matter. We get your selfish game. Doc H likes to conduct himself in a professional and courteous manner. He treats you in such a manner and it shouldn't be too much to expect the same level of professionalism and courtesy from you. Neither he, or I, take to kindly to professional disrespect. Maybe it's just my screen but I can't zoom out far enough to read the right side of your text. In either case I got the jist of what you are saying. Let me say: THAT WOULD PISS ME OFF TO HIGH HEAVEN. Surgeons are known for their tempers...I am known for my temper. Maybe your husband's partner can get his act together or things could get rocky on all fronts huh? (It would be really hard for me not to call the wife and cuss her out just because I'm mad not to mention sending THAT guy some extra special brownies with laxatives). So sorry for your frustrations. Bless his heart you are not me: a temperamental broad! Thanks for the heads up. I think I fixed it. I don't know why it went bazonkers. Love the brownie idea!!! My DrH is the nice guy. He would cover for anyone, bend backwards to make sure they could make whatever appointment they/their family needed, and has a hard time saying "no". Being the nice guy only helps one guy, and it isn't my guy.